Today’s Souderton Mennonite Homes (Living Branches) began as Eastern Mennonite Home of the Franconia District in 1917. This past week, I had the wonderful opportunity of leading a litany of blessing and rededication for the Souderton Mennonite Homes’ Living Branches 100th Anniversary. This service was the final event of a year-long series of activities that gratefully acknowledged the past 100 years, while also casting a vision for serving the community in the years to come. Living Branches is the first and oldest established partnership in ministry with the Franconia Conference. Currently, there are 18 Conference Related Ministries (CRMs) that represent an array of extensions of the reign of God into local communities through nurture, witness, care and discipling. After my experience at this service, I wondered, how are we doing in supporting our CRMs? At their core, Conference Related Ministries have a unique collaborative relationship with Franconia Conference and represent a fruit of faithfulness in the church’s history and future. CRMs have usually been born out of a deep desire to care for people in need, both in church communities as well as the physical community in which they reside. All the CRMs also have their own stories to tell. This is true of Souderton Mennonite Homes. In the early 1900s there were no local retirement communities. Leaders in the Mennonite community wanted to find a way to care for the aging population in their congregations. They saw a need and collectively asked, how can we care for our community? Prior to this point, care for the aging happened within families. Although there was a heartfelt sense of love and responsibility for their older members, and care was provided for grandparents and parents by the younger generation – this often meant that the sick or elderly lived out their days confined to a bed, without easy access to proper care. At this time in our country, making ends meet was hard enough for many families and some simply could not provide adequate care. Much like in Acts 6, Franconia Conference leaders conferred about this great need and the seeds of the possibility of forming this “ministry” together were planted. On October 7, 1915, the Conference approved the project and appointed 12 trustees – all who understood that they would not be creating an institution, but rather, a “home,” embraced by the church. The Conference then looked to its congregations to help support the project financially, and the goal of $6,000 was surpassed as the trustees collected over $19,000. Shortly thereafter, the “Eastern Mennonite Home of the Franconia District” opened its doors in 1917 and the partnership with Franconia Conference has continued. Stories like this one could be told by many other Conference Related Ministries. Indeed, the Conference has partnered with a variety of ministries in many areas of need including bringing help to disabled or special needs persons, collaborating in areas of aging and mental health, engaging together in camps and retreat centers, as well as working together in creating educational facilities and church plantings. By ministering together, our churches are achieving a synergy of missional engagement in our communities. We are truly the church when many members are working together to form one body in Christ – a body that shares resources and invites collaboration with many gifted volunteers – as we together exercise mutual care and love in showing hospitality to all those in need. After all, the church exists to benefit others. How are we doing at supporting our Conference related ministries? Franconia Mennonite Conference (FMC) together with Living Branches hosted the Palestinian and Jewish Voices for Peace Tour on Saturday, April 22. The FMC Israel Palestine Task Force was key to organizing this event together with Mennonite Church USA (MCUSA). Jonathan Kuttab, a Palestinian Mennonite and human rights lawyer, together with Rabbi Linda Holzman of Jewish Voices for Peace and organizer of the social justice community in Philadelphia called Tikkun Olam Chavurah, shared their stories, experiences, and analysis of the Israeli occupation of the West Bank and Gaza. This was a key time to hear their stories and experiences as in July, Mennonites from around MCUSA will be voting on an important resolution at the MCUSA Convention in Orlando, FL. The FMC Israel Palestine Task Force’s Preston Bush welcomed the thirty or so guests to the event and introduced the speakers, while everyone enjoyed a delicious breakfast. 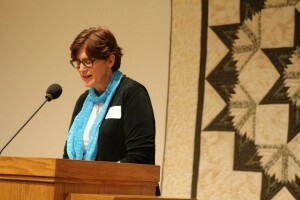 Rabbi Holzman spoke of her journey in the Jewish community as it relates to the context of Israel and Palestine. Holzman highlighted that there are a wide range of views about Israel/Palestine among the Jewish community, while speaking of some of the things she was taught as a child she had to unlearn in order to be able to see the reality of the oppression of the Palestinian people. One of those teachings was that the land of Palestine was empty before the Jewish settlers arrived in Palestine, and another was that the Palestinians left their homes voluntarily, giving the land as a gift to the newly arriving Jewish settlers. Both of which she later learned to be false, as Palestinians were living there and had been working the land for centuries. Those who fled what is now Israel proper had their land taken from them, forcing them to become refugees never allowed to return home. Rabbi Holzman reminded those present that criticism of the oppressive Israeli government does not come from Anti-Semitism; on the contrary, there is a wide variety of opinions and views within the Jewish world about Israel and Palestine. Not everyone is on board with supporting the oppressive regime. Rabbi Holzman closed by talking about intersectionality being the recognition of oppression of different kinds as being connected and also layered. For example, being a woman in a male-dominated society brings certain disadvantages, but those disadvantages are compounded for women of color in a society dominated by white privilege such as the U.S., or for a Palestinian woman in Israeli society. We need to open our eyes and see that the struggles of Palestinians are like those of people of color in the U.S. and like the struggles of indigenous groups all over the world. Jonathan Kuttab then spoke about the current situation in Palestine today, the Kairos Palestine Document, the MCUSA Israel Palestine Resolution, the Boycott Divestment and Sanctions (BDS) movement, a Palestinian-led movement for freedom, justice and equality holding to the principle that Palestinians are entitled to the same rights as the rest of humanity. Palestinian civil society organizations have called for a nonviolent resistance strategy to end the Israeli occupation of the West Bank and Gaza. Part of this strategy includes the BDS movement. Yet many in the West are critical of this approach despite the fact that it is nonviolent. The BDS movement is a moral and ethical critique that bothers Israel. It bothers Israel so much that Israel has dedicated three government ministries to fighting it. That seems to be an indicator of the capacity of BDS. Mr. Kuttab observed that Western Christians tend to hold Palestinians accountable when it comes to violence but often turn a blind eye to the violence perpetuated by Israel. Yet, they still have not supported the Palestinian-led non-violent strategies. Many Palestinian Christians were shocked when the Mennonite church – a peace church – failed to pass a resolution in Kansas City in 2015, addressing the injustices perpetuated against the Palestinians. However, the new resolution being presented for the 2017 Convention provides an opportunity for Mennonites to end their silence on this issue and commit to being part of a just and peaceful solution in Israel/Palestine while at the same time speaking out against Islamophobia, anti-Semitism, and other hateful ideologies in our churches and society. This June marks the 50th anniversary of the Israeli occupation of Palestine. Will we sit back and let the oppression of Palestinians continue without making a statement? We, the Task Force, invite our Franconia Conference delegates to Convention to support the Seeking Peace in Israel Palestine Resolution. 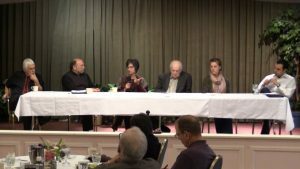 You can listen to a recording of the April 21st Palestinian and Jewish Voices for Peace Tour event at Germantown Mennonite Church here. 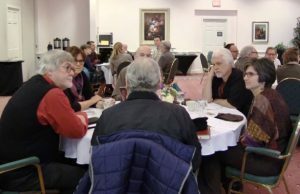 The “morning event” was a breakfast sponsored by Living Branches and Franconia Conference exploring questions of spirituality across generations. On February 14, a panel of leaders answered questions about calling, spiritual practices, and hope. “What happened was heart-felt sharing from three different generations around call and how that was and is lived out, not just in the lives of those on the panel, but in the table conversations afterwards as well,” reflected Sawatzky. Panelists Krista Showalter Ehst, John Ruth, Paula Stoltzfus, James Krabill, Josh Meyer, and Ray Hurst expressed curiosity about other generations, pondered over advice they would give to their younger selves, suggested practices that are important in the life of the Church, and confessed how their priorities in ministry have been shaped by their life experiences (listen to the podcast). After the panelists shared, pastors gathered around tables to share their own stories, challenges, and questions. The take away—a hope for the future of the church and a hope for more of these conversations. April 19, 8-10am, at Souderton Mennonite Homes. Chaplains from Living Branches will present the documentary “Being Mortal” and facilitate a conversation around faith and end of life issues. (RSVP to Margaret_Zook@LivingBranches.org). April 25, 9-11am, at Blooming Glen Mennonite Church. Anne Kaufman Weaver will lead a conversation around her research in resiliency for women in pastoral leadership (RSVP at franconiaconference.org/events). For questions related to upcoming events or to request resourcing for your congregation, contact Emily (email or 267-932-6050, ext. 117). I am scheduled to be ordained into pastoral ministry February 9 at Souderton Mennonite Homes. It’s a service that affirms God’s call on me to lifelong ministry to the Church, and gives me the credentials and oversight to do so through the Franconia Mennonite Conference. I have been almost this close to being ordained before… twice. And each time I found a reason not to accept the invitation. Each time the reason was the same. It was because I was not convinced that I was ‘called’ to this life of service to the Church – for a lifetime. In the movie “Runaway Bride”, Maggie has a tendency to run away when it comes to a marriage commitment. Maggie has just left another groom standing at the altar, and has jumped aboard a FedEx truck as an escape route. Ellie: Where is she going? Fisher: I don’t know, but she’ll be there by 10:30 tomorrow. Like Maggie, I wasn’t always sure why I ran away, but just knew it wasn’t right – knew it in that place where I discern what God is saying to me. I knew it wasn’t the time. I was not running away from God or even God’s call (in the larger sense). I have been running toward God since I was a kid, after making a serious personal commitment to God’s loving and sustaining grace at our church camp, and have always lived a life pointed towards God. you knit me in my mother’s womb. Here at SMH I have found a place of ministry that fits with God’s call on my life. The time is right. I am not even tempted by all the FedEx trucks on the road! Thanks be to God for this marvelous gift! Joy Sawatzky will be ordained at Souderton Mennonite Homes at 2pm on February 9, 2014. All are welcome to attend! “We eat together, sing together in both English and Chichewa, go on our nightly walks together, and laugh together like a family of hyenas,” says Eric Bishop of his family’s relationship with Madalitso Kaputa. Eric and Linda Bishop, Souderton congregation, have opened their home to Madalitso, a participant in the International Volunteer Exchange Program (IVEP). IVEP is a program of Mennonite Central Committee (MCC) that brings young adults from other countries to live and work in Canada and the United States for a year. 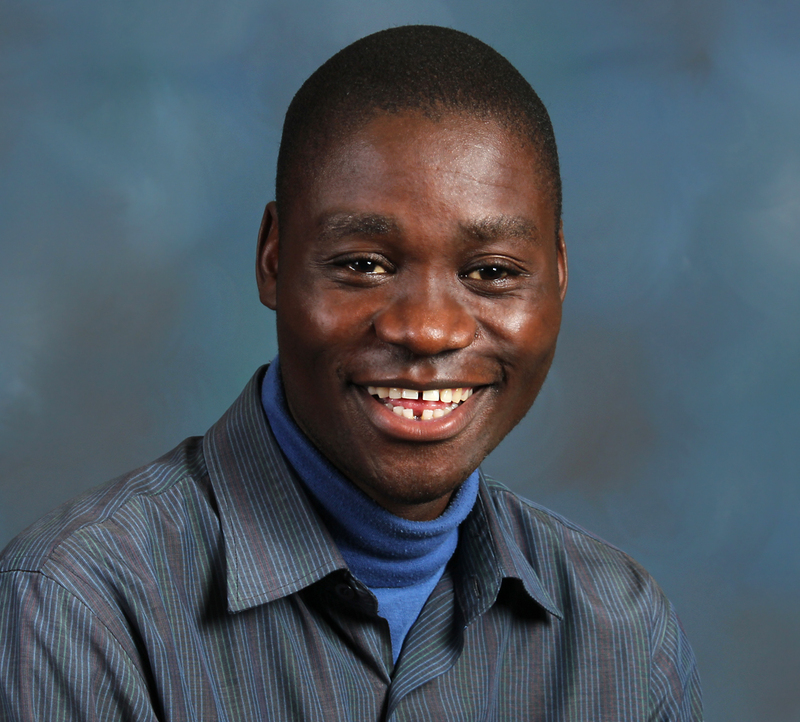 Madalitso is far from his home in Malawi, Africa this year, yet clearly he also has found a family with the Bishops. Madalitso will take many gifts with him when he leaves the IVEP program, not the least of which is a better sense of the world community. Linda Bishop, his host mother, says that he already refers to the world as his home, not just Malawi, since he is willing to go wherever God sends him. And Madalitso will leave just as many gifts with those whose lives he touches here in Pennsylvania. Living Branches residents, his supervisors and his host family will have formed many good memories, relationships and connections that will last a lifetime. 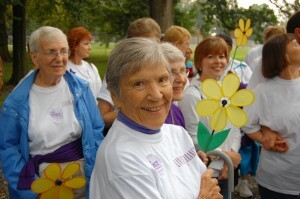 LANCASTER, PA—Team Living Branches took big strides to end Alzheimer’s disease in Lancaster on Saturday, September 24. A team of 42 Living Branches employees, residents, and family members took to the walking path at Long’s Park in Lancaster Saturday in an effort to raise funds and awareness about the crippling disease that is so close to their hearts. The team, led by Dock Woods healthcare social worker Mary Spencer, was the second largest in attendance at the annual event. Dock Woods Resident, Janet Wells, joins Team Living Branches at Long's Park in Lancaster to raise awareness of Alzheimer's Disease. Team Living Branches is also responsible for raising over $8,000 to benefit the Alzheimer’s Association; the second highest amount of all the groups present at the Lancaster walk. Team members hosted multiple fundraisers at the three Living Branches campuses—Dock Meadows, Souderton Mennonite Homes, and Dock Woods—including a popular “Kiss the Pig” contest. Living Branches is a not-for-profit system of retirement living communities in southeastern Pennsylvania, affiliated with the Franconia Mennonite Conference of Mennonite Church USA. Comprised of two continuing care retirement communities—Dock Woods in Lansdale and Souderton Mennonite Homes in Souderton—and Dock Meadows personal care community in Hatfield, Living Branches employs more than 600 team members and offers a wide range of housing, support services and life-enriching activities for more than 1,350 residents. Through Dock Manor and Dock Village, Living Branches also offers affordable senior and family housing for those who qualify for rental assistance. This past fall, Living Branches combined Pastoral Care and Volunteer Coordination across the three campuses to create a unified Pastoral Care and Service Team. After interaction with a number of good candidates, the Pastors, Volunteer Coordinator and Living Branches leadership unanimously decided to call Ray Hurst to serve as our first Director of Pastoral Care and Service. Ray leads a gifted new team, which includes Jim Derstine, Pastor at Dock Meadows (Zion Mennonite); Lorene Derstine, Pastor at Dock Woods (Plains); Mark Derstine, Pastor at Souderton Mennonite Homes (Blooming Glen); and Lynne Allebach, our Volunteer Coordinator (Methacton). Ray brings more than 20 years of ministry, pastoral care and social service experience to Living Branches. He began his ministry in Kansas, where he served as Co-Pastor of Tabor Mennonite Church in Newton for 11 years. Ray then became Lead Pastor of Community Mennonite Church in Harrisonburg, Virginia, for a decade. Both were larger, multi-staff congregations. Ray moved to the Philadelphia area three years ago when his wife, Brenda, accepted a call to serve as Pastor of Frazer (Pa) Mennonite Church. Since moving to Pennsylvania, Ray has served autistic youth and adults living with mental illness. He also worked for a year as Executive Director of Good Samaritan Shelter in Phoenixville. Ray earned a Master of Divinity Degree in Pastoral Counseling from Associated Mennonite Biblical Seminary, and a Bachelor of Arts Degree in Psychology from Trinity College. He is an avid gardener and is passionate about the Christian call to work for peace and justice. “We have a strong interest in nurturing the ongoing faith development of older adults,” says Ray. “Our faith isn’t finalized when we reach a certain age; rather, we can always continue to mature in our faith journey.” Ray and his team are creating spaces to talk about questions of life and faith in the context of community. Ray recently started a column in a monthly resident newsletter titled “Roast Preacher” where he invites conversation with residents around an aspect of faith that he is pondering. In addition to engaging our residents, their families and staff members around issues of spirituality, our Pastoral Care and Service Team strives to be a resource for area pastors and coordinators of congregational health ministries. One way we do this is through annual Pastoral Care to Seniors seminars. 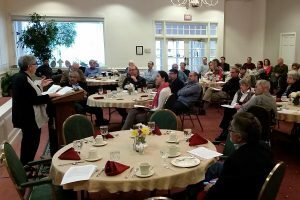 Leaders from ministries and organizations connected with Eastern District Conference and Franconia Mennonite Conference of Mennonite Church USA met on April 5 at Dock Woods Community at Lansdale, Pa, to initiate a conversation about future partnerships toward collaborative missional learning. 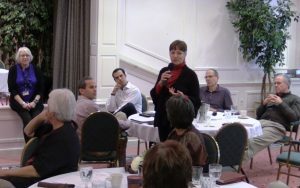 The gathering has implications for broader cooperation and included representatives from Living Branches (an affiliation of Franconia Conference-related retirement communities), Christopher Dock Mennonite High School, Eastern Mennonite Seminary in Pennsylvania and Biblical Seminary in Hatfield, Pa. The meeting included board members, business leaders, pastors, conference staff and organizational leaders in conversation together. The group met to discuss possibilities and to engage in storytelling on the movement on education and equipping within a variety of contexts, considering from the pew to pulpit as well as later year learning. Though an informal conversation, the group named a task force to continue the conversation toward more practical realities and paths for mutual enhancement of mission and vision for extending the reign of God and missional engagement locally in Bucks and Montgomery Counties in Pennsylvania. Franconia Conference is undergoing a conference-wide review while regional conferences of Mennonite Church USA, including Harleysville-based Eastern District Conference, continue to explore collaborative equipping and learning opportunities from an Anabaptist perspective. Christopher Dock Mennonite High School is also in the midst of a marketing review along with Penn View Christian School in nearby Souderton, Pa. Both Biblical Seminary and Eastern Mennonite Seminary in Pennsylvania are expanding options to serve emerging congregational leaders in the Philadelphia region considering both urban and suburban constituencies. 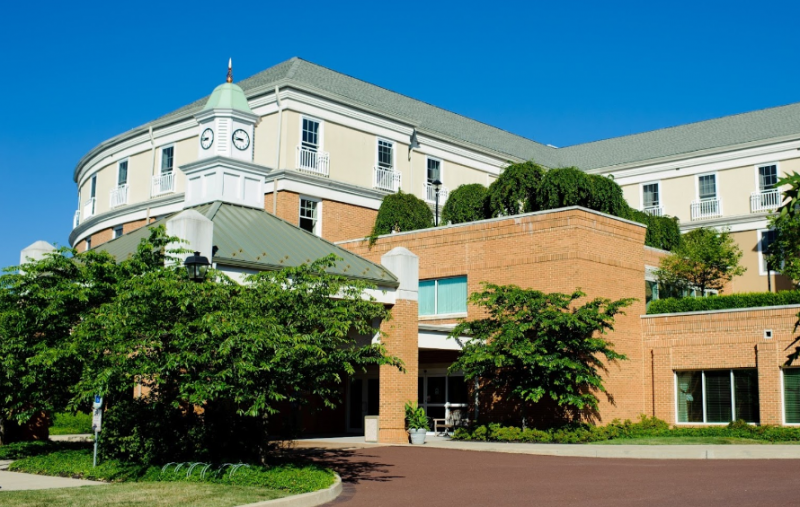 With the recent affiliation of Souderton Mennonite Homes and the Dock Woods facilities under the name Living Branches, there is a new opportunity to explore lifelong living and learning among a community of 1500 residents.